Welcome home to 102 Pine Tree Dr. Located in the award winning Spring-Ford School District. This immaculately maintained home offers amazing detail throughout with generous moldings and thoughtful decor. The Main floor offers a semi-open plan that flows smoothly, with a formal living room, dining room, den, open family room and kitchen. The expansive lower level is Fully finished and provides for a wonderful escape as a secondary family room area, including an offset space currently used as a bar area. 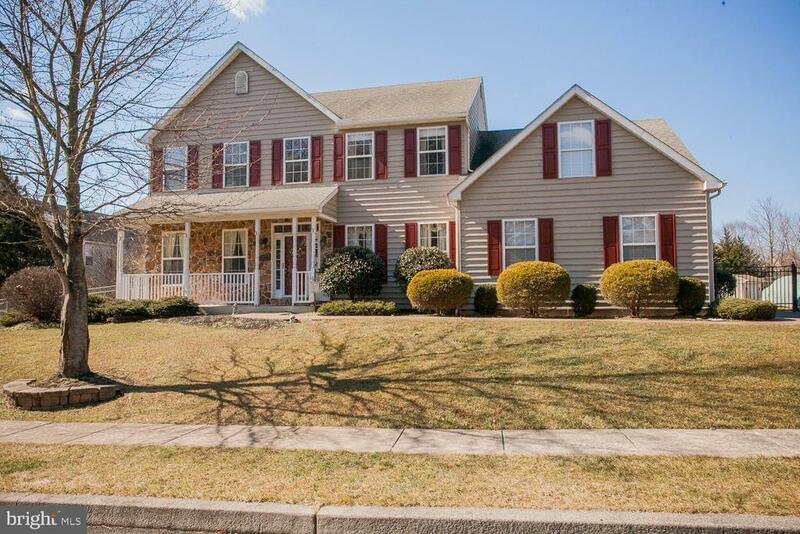 This meticulous home offers 4 bedrooms on the second floor. Master bedroom with a sitting area, master bath, and desirable walk in closet. The rest of the family can enjoy their own nicely sized rooms with 3 bedrooms and a convenient hall bathroom. Off the kitchen to the rear of the property find the exterior comforts where there is a spacious deck, shed, and fenced in yard. Easy access & Conveniently located near schools, shopping and 422 and the PA Turnpike and only minutes to Collegeville & King of Prussia! You do not want to miss out on this almost new home! Schedule an appointment today! A home not to be missed!